2008 Sea Ray 480 Sundancer This boat is in a LLC as many know that are familiar with a LLC its a huge savings The gorgeous curves, aerodynamic profile, and beautiful flag blue hull of this 48 Sundancer are sure to turn heads! She is powered with twin Cummins diesel engines, and offers two staterooms, open salon and galley, two heads, and large cockpit and seating area. 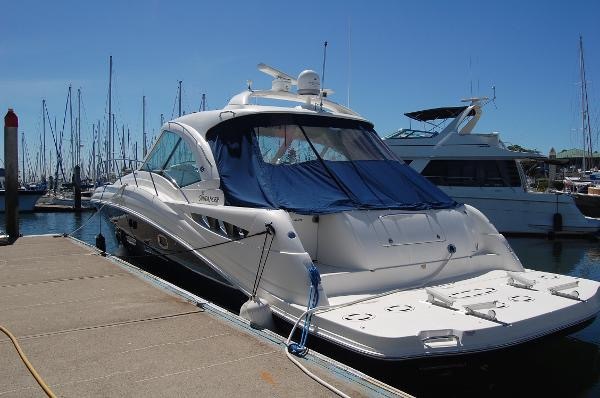 This yacht comes with a large hydraulic swim platform for easy access to additional water toys, a hardtop and fully enclosed cockpit helm area, generator, Bow Thruster, Chartplotter / GPS, Air Conditioning throughout the vessel, and full entertainment center also throughout the yacht.